After a short gap, Nani will be seen in Janda Pai Kapiraju, directed by Samuthirakani, who is making this film as a bi-lingual (Nimirndhu Nil in Tamil with Jayam Ravi in the lead). Nani is paired opposite Amala Paul in Janda Pai Kapiraju which is produced by K S Sreenivasan. 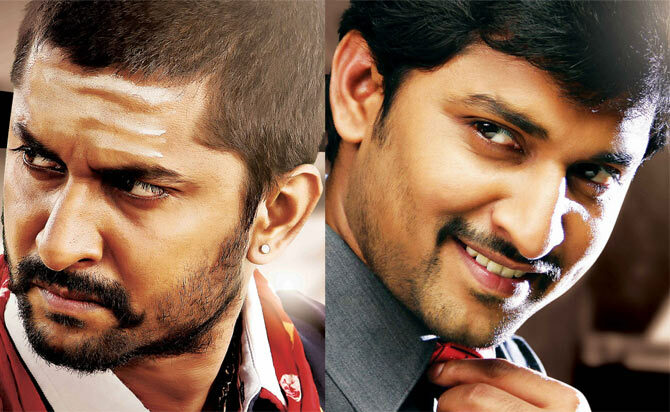 Nani plays a dual role – that of Aravind Shiva Shankar and Maya Kannan. One of the charactees will see him portraying a young man while in the other he will be seen as a middle-aged man. G V Prakash Kumar is the music composer, M Sukumar is the cinematographer and A L Ramesh edits this action entertainer which is currently in the final stages of production.